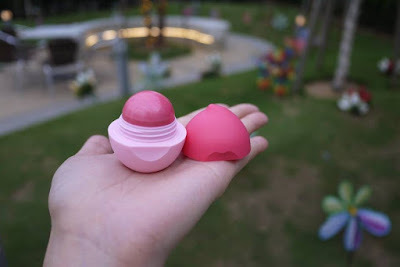 I am a big Fan of Chu Lip lipbalm! I remember I took leave to attend its grand launch in Malaysia back then as I was extremely excited that it was finally available in Malaysia for us. This time, Chu Lip has just released 2 new colours to its new range Chu Lip Tinted! Known for its unique function, the Chu Lip lipbalm comes in a trendy and stylish dome shape with an easy glide-on formula. 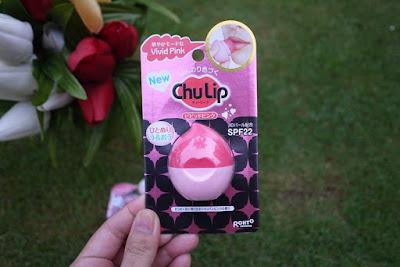 ‘Chu’ which means kiss in Japanese, is apt to the function of this lipbalm. 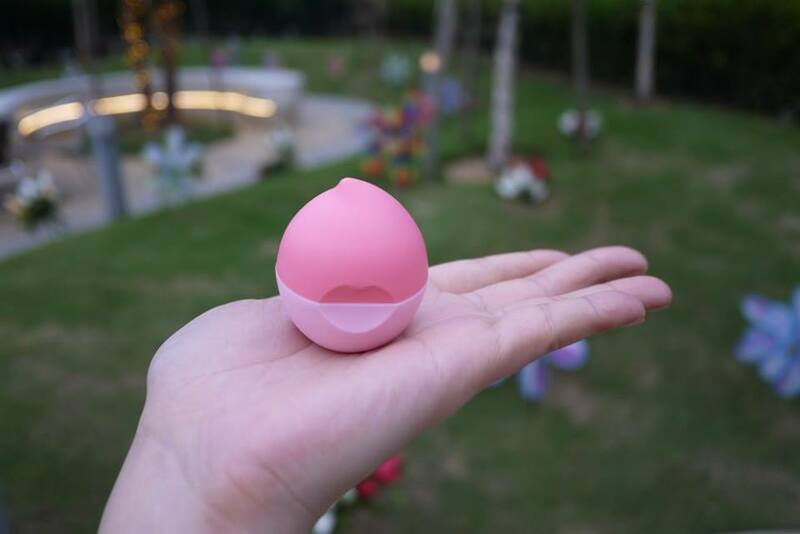 The sphere shape enables you to apply in just one touch, as if ‘kissing’ your lips. Its wide surface also allows you to apply a sufficient amount of lipbalm anytime. The all-new Chu Lip Tinted is formulated with 3D pearl to smooth and moisturize your lips with a natural hint of colour. Its formula also contains double moisturizing ingredients of Vitamin C and Vitamin E derivatives to keep lips plumped and hydrated. Apart from that, its moisturizing power is further enhanced by the blend of Olive Oil, Shea Butter and Rosehip Oil to give the lips sufficient amount of moisture when applied. 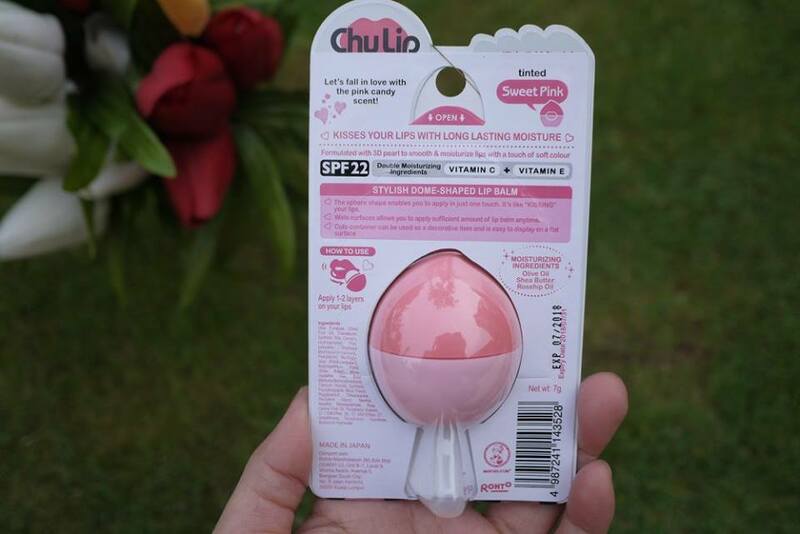 The 2 new colors of Chu Lip Tinted are Vivid Pink and Sweet Pink accompanied by a pink candy fragrance. My daughters say the sweet candy fragrance just smell like cotton candy! Vivid Pink is a bright natural pink colour. Sweet Pink on the other hand is in a lighter pink shade. 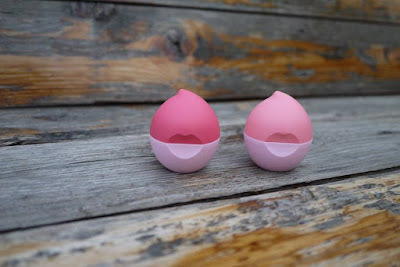 They have a SPF22 protection, giving your lips the extra care it deserves. It is easy to use, simply apply 1-2 layers on your lips when needed. I have been using Chu Lip everyday and 1 Chu Lip lasts me for 2 to 3 months. The all-new Chu Lip Tinted is Made in Japan, and they are available at all leading pharmacies and major supermarket outlets at RM18.90 (8 gram) each. Such a cute packaging. I'd love to get my hands on them simply because of that. Besides, pink is my favourite colour! the packaging so cute! !Would like to try it out! !btw is it moisturizing for lips? I loved the shape of this product. Tempting indeed to try. The packaging so cute and I still using Chu Lip. Is this a new one because I am being using chulip before and there is no color like this before. 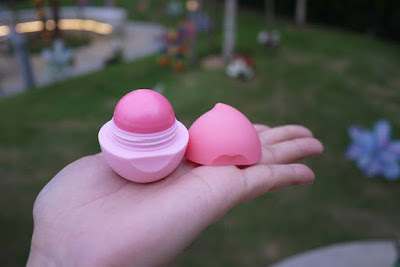 This one of the affordable and decent lip balm with tinting.